Banyan Tree Global Foundation | Why are Coral Reefs Important? 05 Oct Why are Coral Reefs Important? 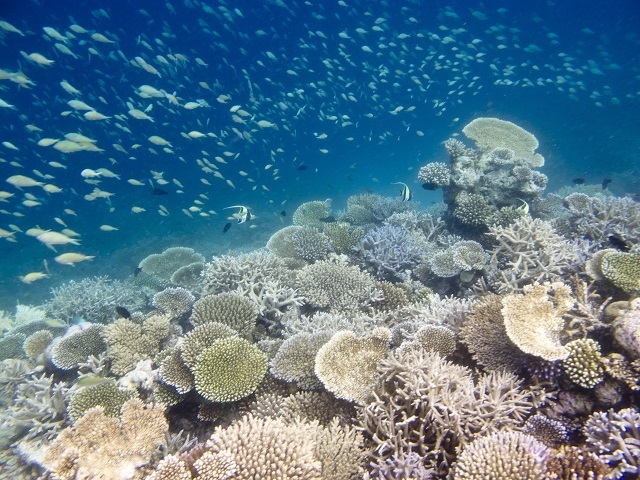 Coral reefs are complex structures that are home to one out of every four known marine organisms. Coral reefs have a net value of almost $30billion per year and account for 10% of global fisheries estimated at $5.7b per year. They have great value to tourism ($9.5b per year) and shoreline protection and the carbon cycle ($9.0b per year). However, there are also many intangible values of coral reefs: aesthetic, inspirational, spiritual and a sense of place. Coral reefs define the sense of place in the Maldives: without the reefs there would be no Maldives. They create the sand that make the islands, they support the tourism and fisheries on which the economy has relied upon for so long. Coral reefs are essential to the survival of many marine species, but also the very existence of the Maldives. Environmental protection and restoration is a vital aspect that is deeply developed in our resorts and there are numerous ongoing projects to understand and conserve coral reefs in the Maldives in which anyone can participate.